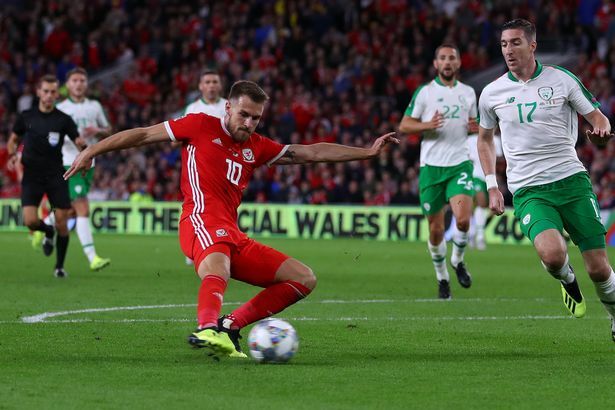 Aaron Ramsey has pulled out of the Wales squad ahead of their game with the Republic of Ireland on Tuesday night. The Arsenal midfielder took part in a friendly game in which his national side lost 4-1 to Spain last week but will not be available for their crucial UEFA Nations League outing. Chances are that you are an Arsenal fan and have begun to think that he made this move as a result of a fitness worry as is often the case but you are wrong. The 27-year old whose days at the Emirates Stadium looks numbered due to his inability to come to terms over a new contract package will be out as there is need for him to attend to family matters, according to the BBC. The specific reason for his absence in this case could be similar to what we were fed with when Ramsey couldn't make it to Azerbaijan to face Qarabag on October 4. The wife of Ramsey is expecting twins and this could be why he has made an emergency exit from activities at the ongoing international break. Arsenal resume action on Monday night in a clash with Leicester City but it is not yet known if he will be one of those to participate in that home game.